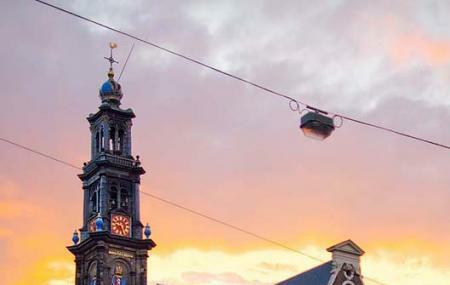 Westerkerk is a stunning Dutch Protestant church in central Amsterdam and has some of the most picturesque sights in the whole region. The destination is close to the Amsterdam's Jordaan district and sees a lot of travellers every year. The architecture of the destination is in Renaissance style and was built between1620 and 1631. The Westerkerkis the largest protestant church in the region and has great interiors which makes this place a must go to. The westerkerk tower is a great place to see too. Children younger than 6 are not allowed. Westerkerk Tower is 7 Euro. Take a bus or tram from Amsterdam, Westermarkt. People normally club together Anne Frank House and Jordaan while planning their visit to Westerkerk. Amazing centuries old church where Rembrandt was buried. The outside is beautiful and the architecture is stunning. Loved my visit. Beautiful landmark. Anne Frank house near by. Worth a visit. I found it open. Very nice church both inside and out. A lot to see on the inside.